Treating a "Gummy" Smile Starts with Finding out the Cause - David B. Uzzel DDS Inc.
You’re a bit self-conscious about your smile. 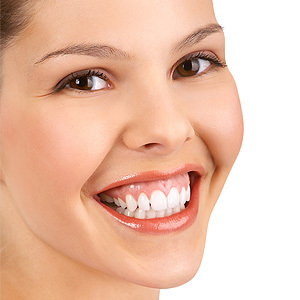 But not because of your teeth — it’s your upper gums, which seem too prominent when you smile. While “too much” is a matter of perception varying from individual to individual, it’s generally accepted that a smile is “gummy” if four or more millimeters (a bit more than an eighth of an inch) of the gums are visible. The good news is there are ways to improve the appearance of your gums. Which method we use, though, will depend on the underlying reason why the gums are prominent. The amount of gum tissue, in fact, may not be the problem at all, but could be the size of the crowns (the visible parts of teeth), the upper lip’s range of motion, the upper jaw’s position in relation to the face, or a combination of any of these. For example, if your teeth didn’t erupt and develop properly, the gums might not have moved back to their proper position and stabilized as they should in your late teens or early twenties. A normal crown (the visible part of a tooth) is about 10 millimeters long, with a ratio of width to length of about 75-85%. Below those measurements the teeth can appear smaller, making even normal gum tissue appear larger. In another scenario, the upper lip may rise too high when you smile (hypermobility), which reveals too much of the gums. If tooth size is the problem, we may recommend a periodontal surgical procedure called crown lengthening that reveals more of the tooth. A hypermobile lip can be treated with Botox shots to temporarily restrict the movement (it must be repeated every six months) or by surgically repositioning the lip muscles that control movement. Similarly, surgically repositioning an overlong upper jaw to make it appear shorter may be the right course. That’s why our first step is to determine why your gums are too prominent with a complete dental examination. Knowing exactly why they stand out will help us devise a treatment plan that will greatly enhance your smile.